​Liverpool welcome Bournemouth to Anfield on Saturday, hoping to go back to the top of the Premier League table. The pressure continues to build for Jurgen Klopp's side, especially considering Manchester City took the initiative in the title race with a 2-0 win over Everton on Wednesday. Following missed opportunities against Leicester and West Ham, the Reds will understand the importance of getting all three points against a dangerous Bournemouth side. ​Liverpool came under immediate criticism as their draw at the London Stadium opened the door for champions City to take advantage. If they are to ensure the title race remains competitive, they must not drop points in the same manner this weekend. Eddie Howe can feel satisfied with the way in which his side have fared in the league this season. They currently sit tenth in the table, level on points with Everton with a game in hand, after losing to Cardiff last time out. The Cherries came flying out the blocks at the beginning of the season and, though they have levelled out somewhat, it has still been an impressive season with some notable results, namely a recent 4-0 win over Chelsea. Although Alex Oxlade-Chamberlain was included in Liverpool's Champions League squad, he remains unavailable for the weekend, as does Joe Gomez, who remains sidelined following the fractured leg he picked up in December. Jurgen Klopp has said he is unsure whether captain Jordan Henderson and Georginio Wijnaldum will be available for the clash. David Brooks will be sidelined for the trip to Liverpool after the Welshman suffered an ankle injury against Chelsea. England striker Callum Wilson will miss out as well due to a knee injury and Nathaniel Clyne will be out, as his loan agreement prohibits him from playing against his parent club. Lewis Cook and Simon Francis also remain unavailable for some time, as they both are continuing their rehabilitation following ruptured cruciate ligaments. Saturday's meeting will be the 15th clash between the sides in all competitions, with the Reds only losing once in that time. That defeat came in a dramatic 4-3 win at the Vitality Stadium in December 2016, with a 93rd minute winner from ​Nathan Ake. Liverpool will feel confident against the ​Cherries at Anfield however, having won five and drawing once in their six home games against Bournemouth, keeping three clean sheets. Liverpool have failed to win in their last two league games, with a draw in their previous home match against Leicester, and more recently an away draw against West Ham. Their last victory came at home to Crystal Palace in a 4-3 thriller, but with ​Wijnaldum​ and ​Henderson potentially unavailable for this fixture, the Liverpool faithful will be hoping Naby Keita can step up after a relatively average debut season, following his £52m switch from Red Bull Leipzig in the summer. Bournemouth lost in Wales last time out to an emotional Cardiff City, with question marks remaining over the side's consistency, as the 2-0 defeat followed an outstanding 4-0 victory over Chelsea at the Vitality. Bournemouth have shown real quality at times this season, but without Callum Wilson they could struggle, with the striker has being one of the shining lights for the Cherries this campaign. A win or a draw on Saturday and Liverpool will go back to the top of the Premier League table, with the victory seeming vital if the Reds are serious about lifting the trophy come May. After two disappointing results in a row, they must shake off the nerves and show the pedigree that all title-winning sides have and which they have lacked in recent years. They have been in frightening form at home in recent times, boasting a 33-month unbeaten run. They did draw their last home game however, but haven't failed to win in two games in a row since December 2017. Bournemouth have shown they have the ability to cause problems for top six sides, reflected by their impressive league win against Chelsea. However, many of their problems come on the road, as they currently lie 16th in the league on points gained away from home. This game simply feels too important for Liverpool not to win, and with the star quality they have at their disposal, it really would come as a massive surprise if they were unable to get all three points. 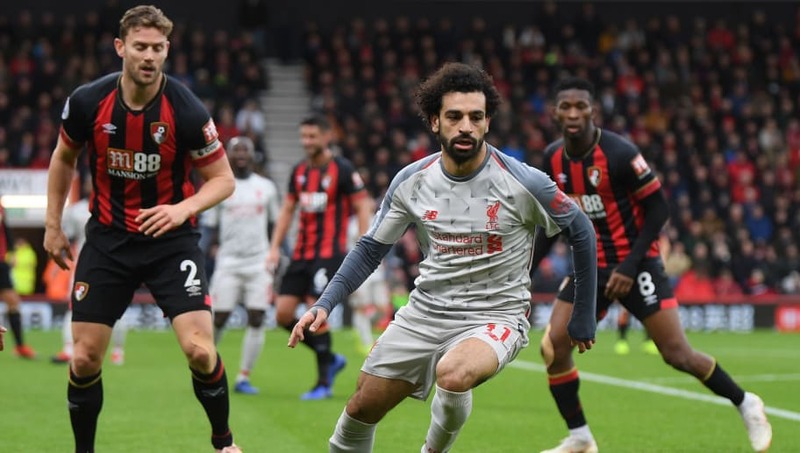 Bournemouth have some exciting players who can cause the Merseyside outfit problems, but ultimately it seems that Liverpool's attacking firepower will prove too much.